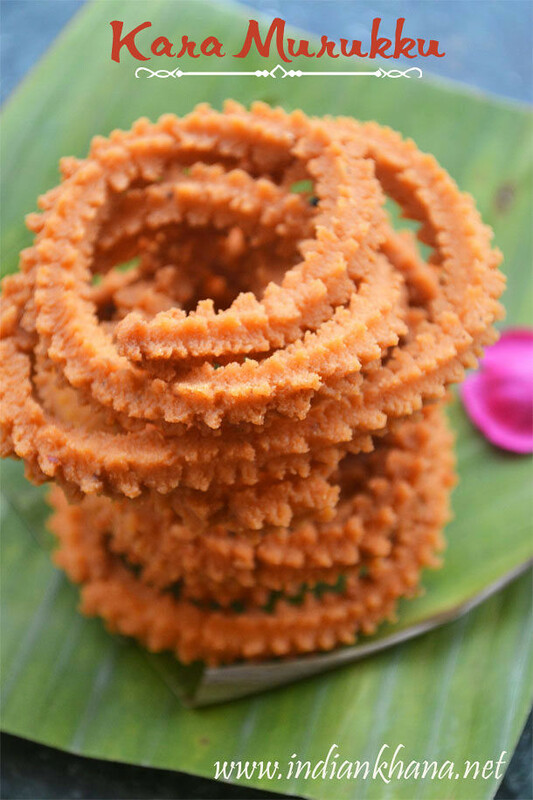 Ganesh Chaturthi count down as begin and today I am sharing Varan Bhaat an popular and important dish during Ganesh Chaturthi in Maharastra. 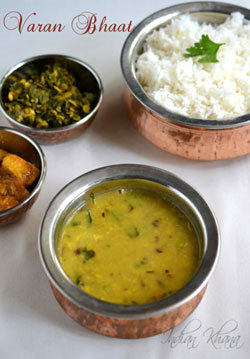 Varan bhaat is Arhar/Tuar dal (lentil) with steamed rice and there are many variations of Varan Bhaat like any recipe. 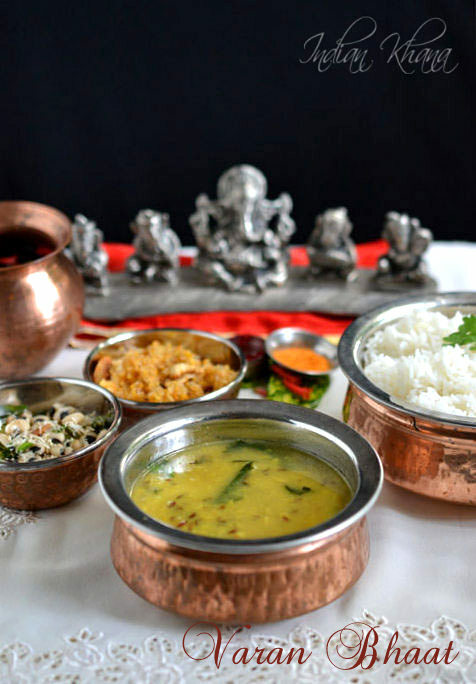 Varan Bhaat is offered as bhog (Naivedyam) to Ganeshji during along with vegetables, modak, laddu, poli during Ganesh Chaturthi and a typical lunch on Ganesh Ustav day. In case you wondering why a normal dal chawal called Varan Bhaat then Varan means dal/lentil curry or stew and bhaat means steamed rice. 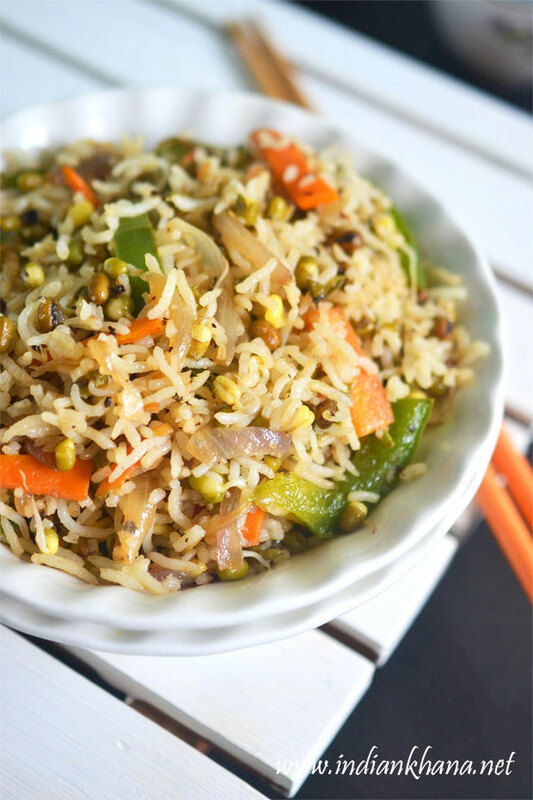 Not only in Maharastra but also in Uttar Pradesh, Chhattisgarh, Bihar also steamed rice is called Bhaat. 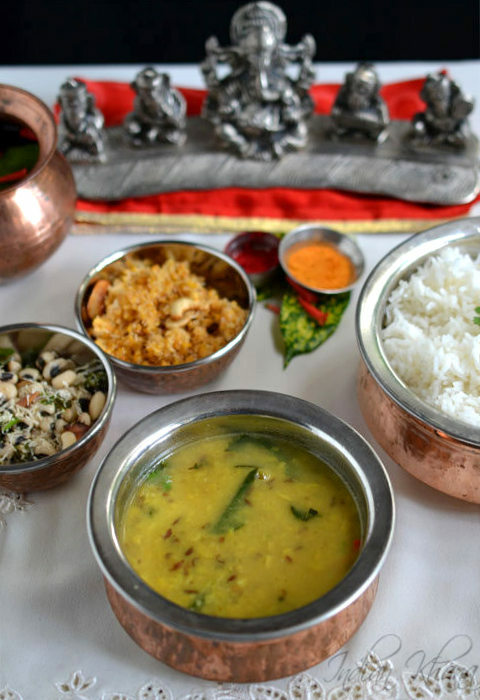 In my home and in-law place both side we call steamed rice bhaat and varan bhaat is known as dal bhaat. This Arhar/Tuvar dal is staple food in our home, we make this everyday with same procedure just don't add curry leaves and jaggery as in my parents home garlic is not used and and if am making this or at in-laws place we do same way too just again no curry leaves, jaggery and added garlic in tempering or use dry red chili instead of green chili. 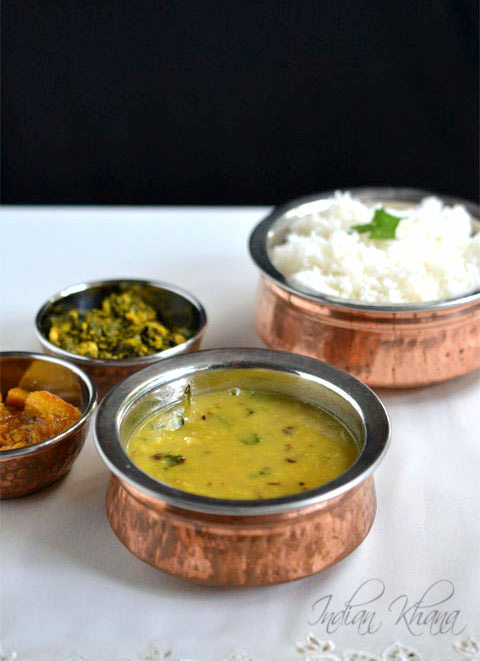 Or simply we just make this dal and don't do tempering every day just eat plain dal, rice along with vegetable. 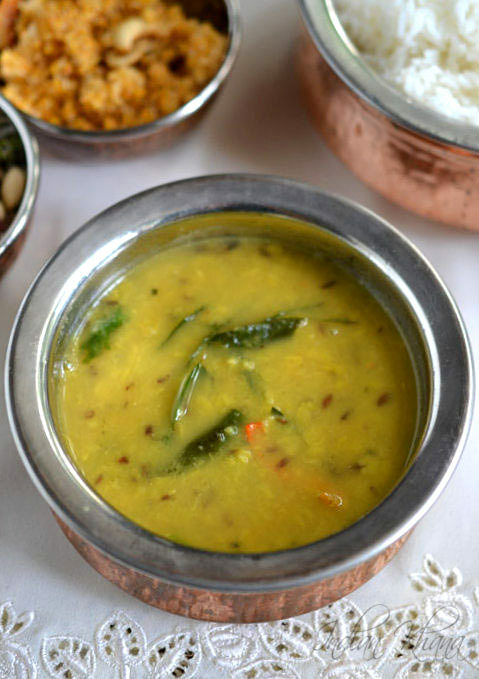 Some people do varan bhaat with yellow split moong dal instead of tuvar dal you can do the same too and if not making this for bhog (Naivedyam) then you can add freshly minced garlic in tempering for added flavor. 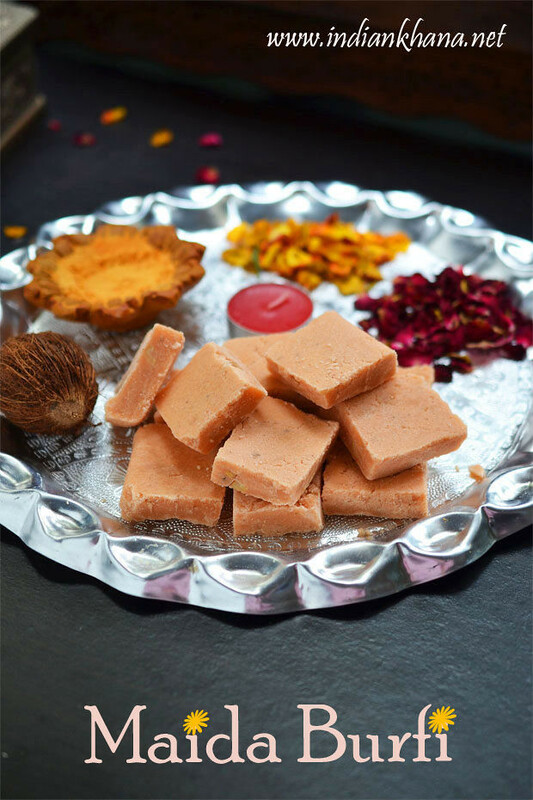 You can also skip jaggery/sugar but in Maharastrian dals normally little of jaggery is always added. 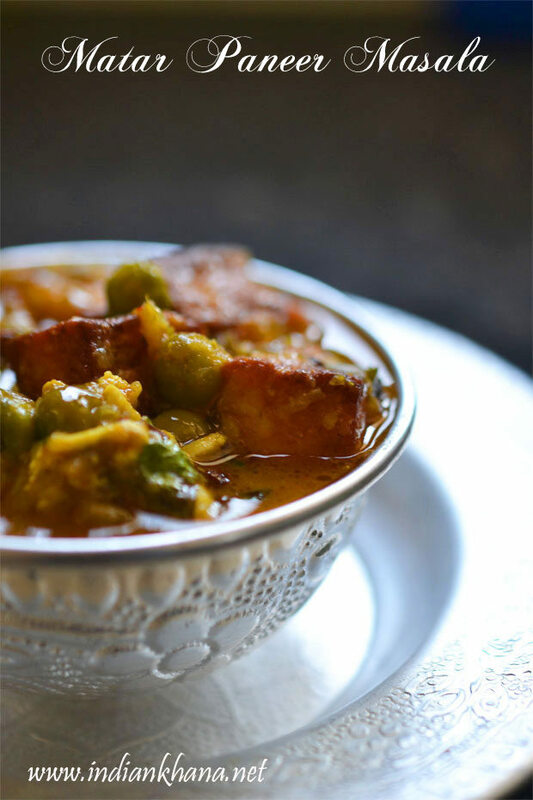 For every day dal you can customize it to suit your taste and needs and enjoy this simple yet satisfying meal just add some ghee and enjoy the meal or added aam ka achar (mango pickle) or mirch ka achar (Chili pickle) like we eat at our place, trust me you won't miss any vegetable on side. I was focusing on dal/varan and forgot to click step wise pictures for rice so do excuse that. 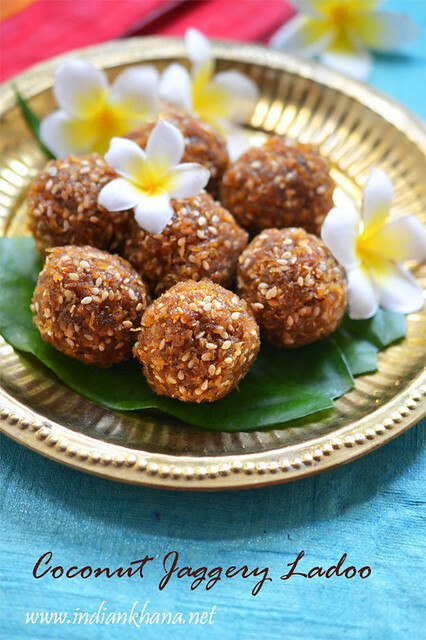 Other Ganesha Chaturthi recipes you can check Ragi Inippu Pidi Kozhukattai, Rajma Modak, Ukdiche Modak, Kudumulu, Dates Sesame Laddu, and for full list of recipes collection click here. 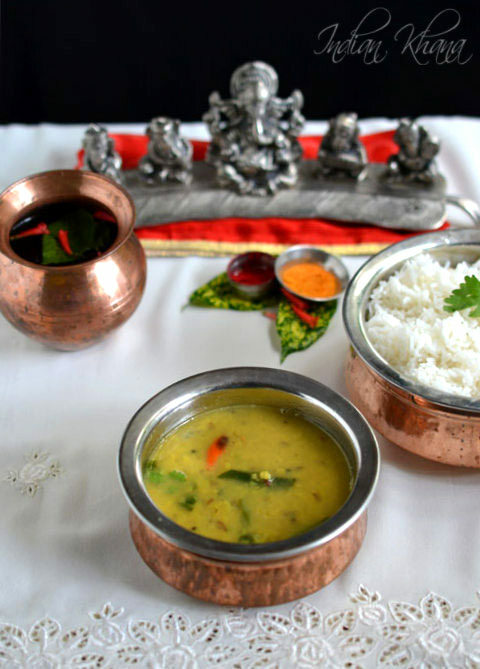 Varan Bhaat, simple cooked pigeon peas (tuvar dal) with steamed rice for a comfort meal. Soak arhar/toor/tuvar dal in water for 15-30 minutes. Rinse 3-4 times in fresh water and pressure cook with 1.5 cups of water with turmeric powder for 4-5 whistles in medium flame. After 3rd whistles comes slow flame and wait for 4 or 5 whistle to come to make sure dal is cooked fully. If cooking in open pan keep adding water in small quantity as required. It will take 45 mins to 1 hr dal to cook in slow flame. Once pressure released mash dal with a masher, keep aside. Slit green chili and finely chop coriander leaves. In a pan or wok heat ghee or oil for vegan version and add hing, mustard seeds, cumin seeds and allow to splutter. Add green chili, curry leaves and saute for a minute. Add mashed dal, salt, jaggery (if using), water and bring it to good boil (adjust water quantity to get your desire consistency of thin or thick dal). Add coriander leaves and simmer for 3-4 minutes, off flame. Soak rice for 15-30 minutes, same time when we soak dal. Rinse 3-4 times in fresh water. Add 3.5 to 4 cups of water with rice and cook for 1-2 whistles. You can also cook rice in open pan or rice cooker. 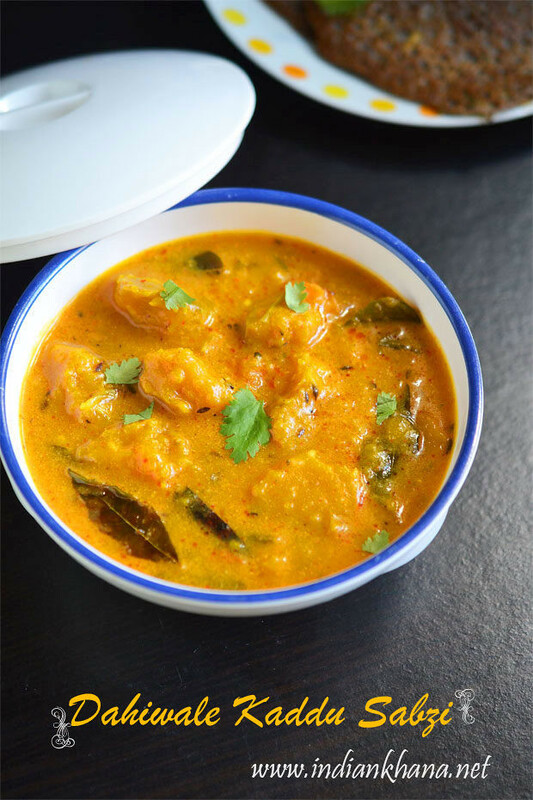 Serve hot with steamed rice, ghee and enjoy your meal. You can add garlic in tempering for dal. Replace green chili with dry red chili. You can skip jaggery/sugar in dal. 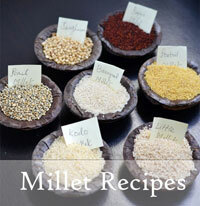 To keep rice grains separated add 3.5 cups of water for 2 cups of rice and 4 cups of water to have rice soft. 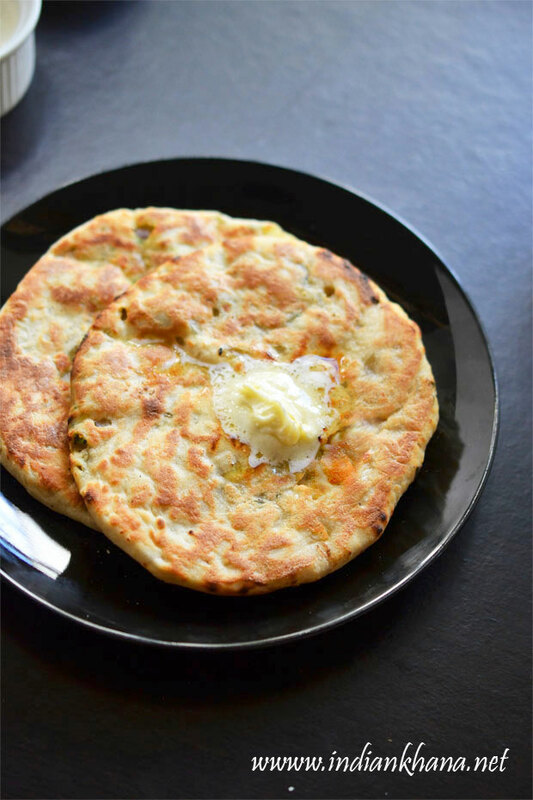 Enjoy everyday comfort food at it's best. 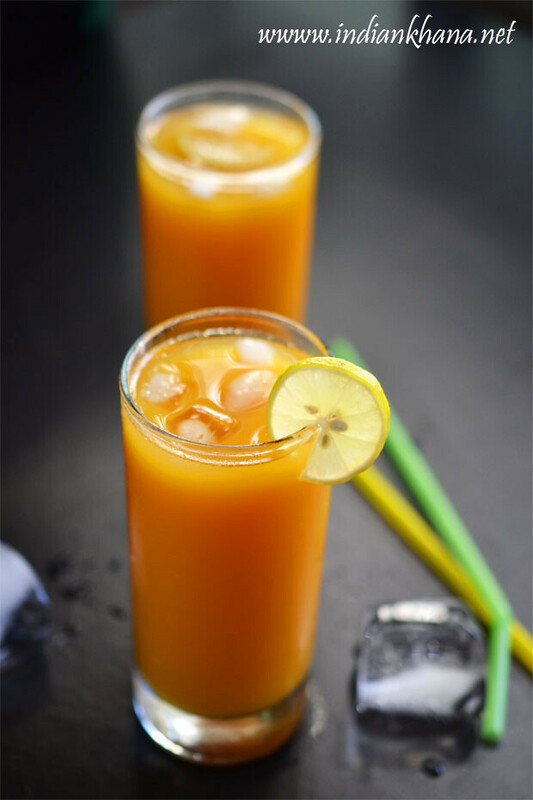 Check other Ganesh Chaturthi recipes here.